Migrants make up approximately 16% of the population in Germany and numbers are slowly increasing. The evidence collected by studies and researches shows that there is a strongly unleashed potential for entrepreneurship among migrants. The policy making system in Germany has soon acknowledged the potential and several measures have been adopted in the recent years to promote more inclusive entrepreneurship supporting mechanisms. The main actors leading the agenda in the country are education institutions, business, immigrant and civil society associations and an increasing number of municipalities. Despite the recent programmes promoting economic integration, the main challenge is related to the heterogeneity of the group. The “migrant” category encompasses people coming from different countries, languages and cultures and more tailor-made approaches should be put into place. A key objective of the national coalition building initiative, led by the City of Munich, is to raise the topic in the political agenda at the federal level. The coalition also serves as a platform promoting exchange of experience and mutual learning among German municipalities and stakeholders. The final goal is to reunite policy-makers, business associations and all relevant stakeholders to produce coordinated actions to raising awareness on the contribution migrant entrepreneurship provides to the national economy. The National Fair on migrant entrepreneurship took place in Munich on 13th March 2018. The motto of this event: Nationwide exchange of experience to support migrant entrepreneurs. 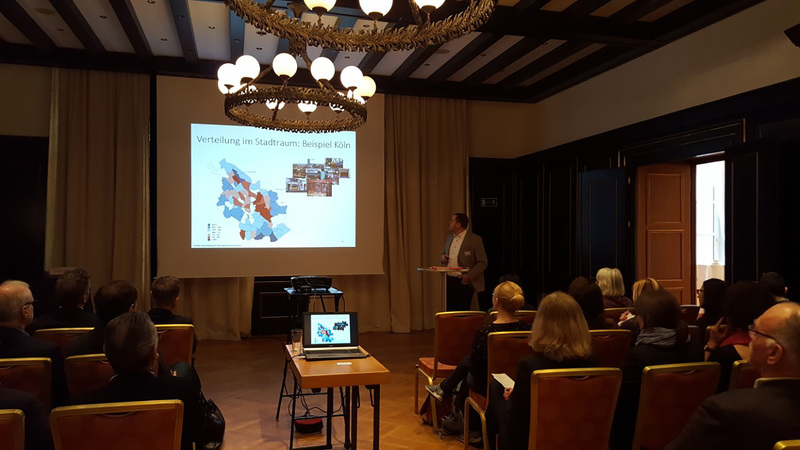 Over 50 stakeholders from all over Germany attended the event – among them, migrant entrepreneurs from Munich as well as representatives of business, science, municipalities, chambers and immigrant business associations. The Fair was an occasion to discuss opportunities and obstacles of (potential) entrepreneurs with a migrant background and indicate the way forward for more inclusive entrepreneurship support policies in the country.